MICAT 2019 II Final Result has been Declared on 27th March 2019. 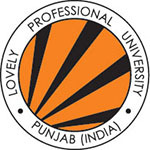 MICA is conducted to offer admission to the candidates those seeking for admission in Post Graduate Diploma in Management-Communications (PGDMC) it is a university level entrance examination. 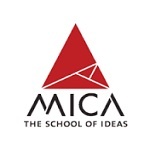 MICA 2019 exam is conducted by the official authority Mudra Institute of Communication (MICA), Ahmedabad. MICAT 2019 exam is conducted two times in one year as MICAT-I and MICAT-II. To get admission candidates will need to score valid marks in the entrance examinations such as CAT, XAT, and GMAT to appear in MICAT. 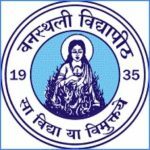 This article provided details of MICAT 2019 Entrance Exam Application Form, Exam Dates, Eligibility Criteria, Exam Pattern, and Syllabus Etc. MICAT II 2019 Final Result has been Declared on 27th March 2019. Click Here to Check Result Details. MICAT-FPM(C) 2019 Registration has been Started Now. Click Here to Check Registration Details. Conducting Body Mudra Institute of Communication (MICA), Ahmedabad. Here candidates will get important details of MICAT 2019 entrance exam. 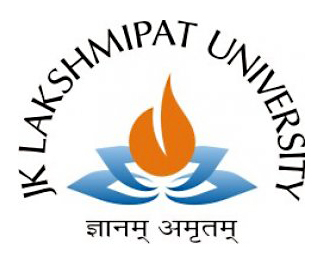 Events such as Registration starts from, Closing of registration, Issue of call letter/admit card and Exam date etc. Authority will issue the MICAT 2019 result once after the MICAT written test and second after the GD & PI rounds. MICAT-I has been released on the 18th December 2018 and for MICAT-II Declared on the 19th February 2019. MICAT II 2019 Final Result has been Declared on 27th March 2019. Candidates can check the MICAT 2019 result through online mode. Candidates will be called for further admission rounds on the basis of the written result. Candidates will be able to check their result on the official portal. Through online mode, candidates can download the result page. Candidates are advised to keep print copies of result for admission purpose. MICAT-II 2019 Admit Card has been Available on 4th February 2019. All candidates have to download the admit cards of MICAT 2019 exam to attain the entrance exam. Candidates can download the admit cards through online mode. MICAT-I 2019 Admit Card has been Released on 26th November 2018, and for MICAT-II, it can be accessed on the 4th February 2019. Authority will send the admit card/call letter for examination to the candidates’ email Id. Carry MICAT 2019 admit cards at the examination hall without valid admit cards candidates will not be allowed to write the paper. Keep admitting cards safe until the completion of the examination. MICAT II 2019 (PGDM -C) Registration has been started on 20th December 2018. MICAT 2019 Registration has been started 23rd August 2018. The Registration Last date Can be filled on 20th November 2018 for MICAT –I and 30th January 2019 for MICAT-II. Candidates have to fill the application form for MICAT on the official website. Candidates are advised to apply for MICAT 2019 registration after reading the complete information brochure. MICAT 2019 application registration process has been started on 23rd August 2018 for MICAT-I and the 20th January 2019 for MICAT-II. Candidate can fill the application form and submit it before the last date of registration through this login credentials. Once the MICAT 2019 application form is filled, aspirants need to pay the application fee. Once payment is done, it will not be transferred or refunded back. Through online mode, a candidate can fill the application form. The registration fee of MICAT-I will be pay 1985. The payment can be done through Credit Card, Demand Draft and Counter Payment (cash payment in MICA admission office). The DD should be drawn in the favor of ‘MICA’ payable at Ahmedabad, Gujarat. All candidates should check the full MICAT 2019 eligibility criteria whether they can apply or not for admission. Take a look at provided provision eligibility criteria before filling form eligibility criteria contains MICAT 2019 Qualifying Exam and Appearing Candidates. For admission in MICAT, candidates need to fulfill the eligibilities given below. 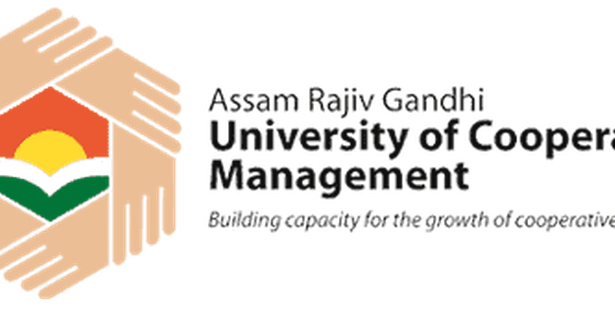 Qualifying Exam: The applying candidate should hold the Bachelor’s degree (in 10+2+3 system) or equivalent recognized by the Association of Indian Universities (AIU). Appearing Candidates: The candidates those appearing in the final year of their examinations towards a Bachelor’s degree are also eligible to apply. MICAT 2019 Exam Pattern contain details of questions paper such as the number of questions asked, mode of paper, total questions, total marks, and language mode etc. 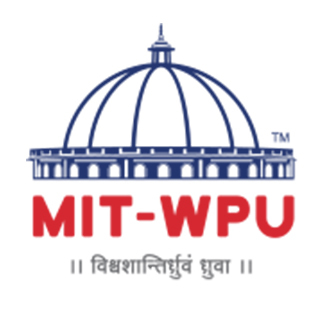 MICAT 2019 exam will be conducted in the online mode (Computer Based Test). In this section, candidates can check the MICAT 2019 exam pattern. Mode of Exam: The exam will be organized through online mode (Computer Based Test). Type of Questions: The questions will be of objective type and subjective type. Number of Questions: Total of 144 questions will be asked in the exam. Total Duration of Exam: The whole examination will be of 2 hours and 45 minutes. 35 minutes will be given to section-I while 130 minutes will be given to Section-II. Sections: It will be comprised of six sections. Negative Marking: There is no negative marking for Part 1 and 3. Part 2 has a negative marking of 0.25 percent of the total marks allotted. All candidates must check the Exam pattern and syllabus of entrance exam this will help you to prepare for the paper. MICAT 2019 syllabus consists of the six sections which are, General awareness (GA), Divergent and Convergent Thinking (DCT), and Descriptive Test (DT), Psychometric (P), Verbal ability (VA), Quantitative Ability and Data Interpretation (QADI). To the core, the good marks candidates should go through these sections. Candidates should study on time to crack an exam it is important to the key. Candidates should make a proper time-table according to the syllabus. Study according to the timetable strictly. The study from the syllabus officially prescribed by the authority. Get familiarize with the exam pattern and syllabus for better preparations. A merit list will be prepared on that candidates will be called for counseling. Candidates will be selected on the basis of candidate’s scores in MICAT, GE & PI round followed by CAT/XAT/GMAT exams. Candidates who score good marks in best of two MICAT will be considered for admission. Admission will be given who have appeared in CAT & XAT or CAT & GMAT or XAT & GMAT or all three-CAT, XAT and GMAT, the better of the two/ best of the three exams performance. Candidates will be invited for counseling process those who are attaining counseling session have to carry their requirement document for verification purpose. According to candidates marks in entrance exam candidates will be called for the counseling process. Each candidate has to must appear in any one of the above exams. After that, the candidate will be eligible for the MICAT 2019 entrance exam. After appearing in the above exams, candidates have to go through MICAT entrance examination. The candidates those will qualify in the MICAT, they will be shortlisted for the GE & PI rounds on the basis of their performance in the exam. The candidates those will be shortlisted on the basis of their performance in the CAT/XAT/GMAT and MICAT exam, they have to appear in GE & PI rounds. On the basis of Group Exercise and Personal Interview rounds, the final merit list will be prepared for the candidates for admission. The final result will be declared after these rounds for the candidates those selected for admission. Shortlisted candidates will be called for GE and PI at Delhi, Kolkata, Mumbai, Ahmedabad, and Bangalore. MICAT 2019 exam which will be conducted in around 39 cities all over India. Candidates must select one city to appear for MICAT exam. If you have any other queries about MICAT 2019, you can write your queries in the comment box given below.